I was hoping the first episode wasn't just an April Fool's treat--and I'm relieved to say, it wasn't. Episode #2 of the BBC's Ouch! Disability Podcast appeared this weekend in my iTunes podcast listings, and it's more of the same, again hosted by Liz Carr (left, in stage makeup) and Mat Fraser. So if you liked the first, you'll probably like this one too. Oh, and there's a contest: they're inviting listeners to contribute their own renditions of that chipper theme song of theirs. We've posted the lyrics here already, so have at it. I'm thinking they need a variety of styles-- calypso? cumbia? reggaeton? Perhaps a nice waltzing lullaby version? It's an international call from the US to leave your version on their answering machine, but give it a shot, someone? We're participating in Blogging against Disablism Day here at DS,TU, and so are well over a hundred other blogs, according to the organizer at Diary of a Goldfish. Go check out the list of blogs joining in; it's diverse in so many ways, you're sure to discover a few new blogs to check out. Not Dead Yet is a national disability rights group that was founded on April 27th, 1996. The organization has become a recognized leader in the fight against legalization of euthanasia, assisted suicide and other forms of medical killing. It is headquartered in Forest Park, IL. Join us as we discuss and celebrate ten years of disability activism and advocacy. Anniversary recognition remarks by Carol Gill, Chicago Center for Disability Research, followed by a "talking tour" of the NOT DEAD YET section of the Disability History Exhibit. Thursday, April 27, 2006, 1:00 - 2:30 p.m. Announcing Disability Studies, the PHILLY Meetup! Disability Studies, the PHILLY Meetup is a new initiative of the Disability Studies Program at Temple University. The meetups provide an opportunity for people from diverse backgrounds to gather together, share resources and have a positive impact on today’s society. We welcome people who are self-identified as disabled, allies, academics, activists from different social identity movements, as well as those who may have a curiosity about the rhythms of today’s disability culture. Everyone’s voice will add to the depth and breadth of understanding about issues impacting disability communities. 1. To promote the Disability Studies Program at Temple University - innovative academic courses on the disability experience in the United States and across the world. 2. To enlighten and expand opportunities for disability cultural expression. 3. Facilitate people’s ability to see the political in the personal [and vice versa] and pass along lessons learned from one generation to the next. 4. To demonstrate the career opportunities (beyond health care) that exist with an enhanced understanding of the disability experience. 5. Offer a one-stop portal for busy people who are looking for ways to connect. The Disability Studies Meetup Group shares the same general purpose of the Temple University's Graduate Certificate in Disability Studies. We seek to move beyond the accumulation of stories, and towards producing results based upon systematic, scholarly research. While we don’t want to limit the topics that might be discussed, we propose that some attention be given to the following: independence, body image, feminism, economics, employment, education, media representation, art and cultural events, sexuality & relationships, the right to live, the right to die, parenting, coalition building around identity and economic issues. Meetups afford people a variety of modes for participation. You can participate on our discussion boards as well as attending our live social gatherings. We are also open to other ideas for breaking down communication barriers. JUST LET US KNOW! Disability Studies, the Philly Meetup, is the first of its kind. We hope that community activists in other cities will benefit from and eventually celebrate the lessons learned from this pioneering group. Use Meetup.com to create and market Disability Studies, Disability Rights and American Sign Language Meetups in your community! As our readers are aware from our coverage last September, people with disabilities and elderly people were left uniquely exposed to the ravages of Hurricane Katrina. Promised evacuation procedures were not implemented, and many elderly and people with disabilities escaped with little more than their lives. Many of these same individuals have had to get by for months without the basic medical equipment that they depend upon: wheelchairs, walkers, canes, shower chairs, etc. George Heake, assistive technology expert with Temple University’s Institute on Disabilities, has been taking the lead in organizing a joint Philadelphia-Louisiana relief effort. 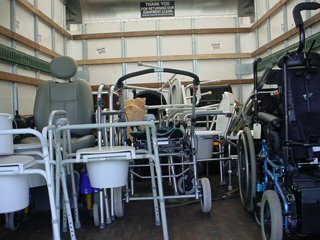 Working in cooperation with the Louisiana Assistive Technology Access Network (LATAN), we have been collecting durable medical equipment from throughout our region to be shipped south. As publicized here, on September 24th 2006, volunteers with the Institute on Disabilities, Temple University and our surrounding community met at the parking lot to the SE of the intersection of Cecil B. Moore Avenue and Broad Street, to load a complete semi tractor trailer full of donated items. These items were cleaned, packed and shipped down to the impacted region, where they were distributed from LATAN’s warehouse in Baton Rouge. A slideshow of the event can be found here. This first Katrina Relief effort was so successful that the Institute on Disabilities has decided to do it again in cooperation with Temple VOAD and LATAN! Click here to learn more about the Katrina II Relief Effort and consider how you might get involved. Assistance can take many different forms - teamwork on collection days, financial support over our website, or promotion in local newspapers and international blogs. As you can see from the photo above, the collection of durable medical equipment has already begun at our warehouse in Collegeville, Pennsylvania. George Heake tells us “ … a 53 foot orange trailer will be dropped off sometime Thursday, April 27th…” and the main day of cleaning and packing will be Saturday, April 29th. We are looking for volunteers who can sign up for shifts next weekend. Please also consider making a financial contribution to LATAN's equipment recycling campaign. So any assistance you can provide, whether in person or online, will be greatly appreciated. I know where I will be: at the parking lot along with several of my students from the course Urban Education C060: Schooling and Development in Third World Societies. These students really appreciate the opportunity contribute in a concrete way on behalf of the Gulf Coast Region. 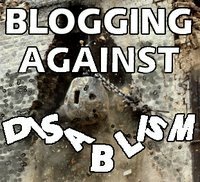 Don't forget, Monday, May 1 is official Blogging Against Disablism Day. So START A BLOG NOW [if you haven’t done so already] and let others know how you have been impacted by disablism! Tell us what you think about the tragic events along the Gulf Coast. Tell us what burns you up that you see happening in your community. Have you ever wanted to become a citizen journalist? This is your chance. Use the comments below to let us know about your post. Goldfish is keeping an official tally of participating blogs. You are sorry for me!!! Joseph Lyons wrote these lines in a journal where one theme is his loss of vision--an eye inflammation has "maimed" him as the journal begins (young Lyons was equally melodramatic about his romantic life, his spiritual questions, and his professional prospects). He was nineteen, a Jewish Southerner studying the law; he noted that he'd "fallen in love for 2 days together at least 20 times" in the previous six months. He loved the "bananas, Books, and oysters" that abounded in Charleston. He worried that the "clouds" obscuring one pupil might disrupt his studies, but he took "blue pills" and ate according to doctors' orders, hoping to manage the condition. Lyons died from tuberculosis in 1839, at the age of 25, in Paris. 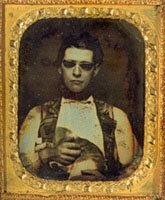 His journal was passed down through the generations of his family until the 1970s, when it eventually reached the Special Collections department at the College of Charleston. There it was discovered sealed in an old envelope. The complete two-year diary of Joseph Lyons was published a few years ago in the journal American Jewish History, which included a long introduction explaining the journal's origin and historical context. As far as I know, it hasn't yet been noticed as an engaging first-hand document of a young man's concern about loss of sight, which here appears as only one of the many uncertainties Mr. Lyons faced at the verge of adulthood. 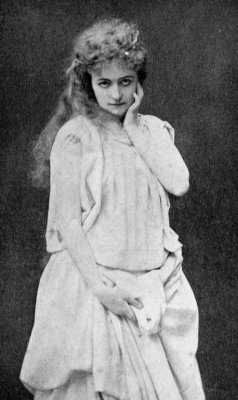 Marie Ferrara, et al. "The Diary of Joseph Lyons, 1833-1835: Introduction," American Jewish History 91(3-4)(September-December 2003): 493-525. The diary itself, transcribed in its entirety, appears in the same volume, pp. 526-606. Bardiac's recent REALLY Dead Women Writers meme asked bloggers to contribute five women writers dead before 1800 (more or less). 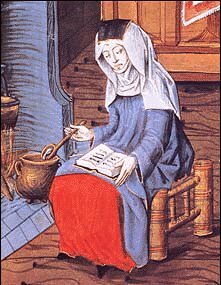 Englishwoman Margery Kempe (d. 1438) was one of the first pre-1700 writers to make the list, and it's easy to see why--after centuries of obscurity, The Book of Margery Kempe is now widely taught as a first-hand account of a woman's everyday life and spirituality in medieval Europe. (Kempe was illiterate; she dictated her memoirs, prayers, and stories.) Kempe's mystical visions and exhibitionist ecstasies bring many modern readers to assume she had some kind of mental illness, though of course the distance between 2006 and the 1400s must account for much of the strangeness in her report. 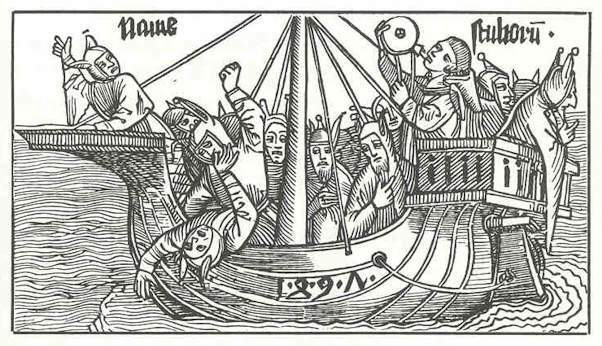 This week, Dr. Virago at Quod She has a long post up, "Calling Margery Kempe Crazy--and Why it Matters," about teaching Margery Kempe through students' dismissal of her as "crazy," "freak," or the very least "unstable." Dr. Virago's solution to the students' distraction is to say something like this: "If you find Margery annoying and weird, you give her authority as a martyr. If you find her holy and sincere, you give her authority. Either way, the text constructs the readers it wants and that authorize its existence and meaning. Only if you are utterly indifferent are you misreading the text." Lawes, Richard, "The Madness of Margery Kempe," in The Medieval Mystical Tradition, England, Ireland, and Wales: Exeter Symposium VI, Papers Read at Charney Manor July 1999, ed. by Marion Glasscoe (DS Brewer 1999). Kroll, Jerome, Bernard Bachrach, and Kathleen Carey. "A Reappraisal of Medieval Mysticism and Hysteria," Mental Health, Religion, and Culture 5(1)(March 2002): 83-98. Daniel J. Wilson, Living with Polio: The Epidemic and its Survivors (University of Chicago Press 2005). Marc Shell, Polio and its Aftermath: The Paralysis of Culture (Harvard University Press 2005). Jeffrey Kluger, Splendid Solution: Jonas Salk and the Conquest of Polio (Putnam Adult 2005). Helen D'Orazio and Sally Aitken, eds. Walking Fingers: The Story of Polio and Those who Lived with it (Vehicule Press 2004). And there was a big exhibit called Whatever Happened to Polio? at the Smithsonian too--the web version is a model of accessible, multi-sensory online disability history--it's worth a visit. The California State University this week named the five recipients of the 2006 Wang Family Excellence Awards. The winners of the $20,000 awards include Paul K. Longmore, professor of history, San Francisco State. 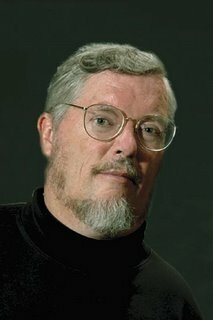 Longmore, a well-known scholar on colonial history, also serves as the director of San Francisco State's Institute on Disabilities. He created and continues to teach a course in the history of disability minorities in America - the first course of its kind in higher education - and he is highly sought after on the national level as a commentator on disability issues. The Wang Family Excellence Award was established in 1998 when then-CSU Trustee Stanley T. Wang provided $1 million to reward outstanding faculty and administrators over a period of ten years. The award is designed to honor CSU faculty and administrators who have distinguished themselves by exemplary contributions and achievements. This is the eighth year the awards have been given. Robert McRuer, Associate Professor of English at the George Washington University, is the author of Crip Theory: Cultural Signs of Queerness and Disability (NYU, 2006) and co-editor, with Abby L. Wilkerson, of Desiring Disability: Queer Theory Meets Disability Studies (Duke, 2003), a special issue of GLQ: A Journal of Lesbian and Gay Studies. Alison Kafer, Assistant Professor of Feminist Studies at Southwestern University, is the author of Accessible Futures and Political Bodies: Disability, Feminist and Queer Theory, and Progressive Politics (forthcoming). Her work has appeared in Feminist Interventions in Ethics and Politics, That's Revolting: Queer Strategies for Resisting Assimilation, Gendering Disability, and the Journal of Women's History. Chris Bell, Instructor at the Warsaw School of Social Psychology, has written extensively on intersections of race, sexuality, disability, and HIV/AIDS, with recent and forthcoming work in The Faces of AIDS: Living in the Heartland, Positively Aware, African American Review, The Disability Studies Reader, and Illness in the Academy: A Collection of Pathographies by Academics. Please do not wear perfume or cologne. Please send ASL requests as soon as possible to esamuels@berkeley.edu. Sponsored by the Disability Studies Working Group of the Townsend Center for the Humanities, Ed Roberts Postdoctoral Fellowship in Disability Studies/NIDRR, Department of English, LGBT Studies Program, Center for the Study of Sexual Culture, & Gender Equity Resource Center. Two weeks late--but I did the podcast roundup in the meantime, and this roundup is timed just right to coincide with my own first anniversary as a blogger, here or anywhere. Thanks for the invite, Mike, this has been a fun year. 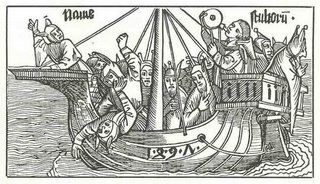 It's not Disability History Week yet (that's the third week in October, if you live in West Virginia, and maybe soon in Florida, too), but there have been several historical posts on disability recently. Teri of Crip Chronicles has a review of Moloka'i, a recent historical novel, and another post that matches up the history of the Hawai'ian island designated for "lepers" with models in disability history. Andrew Eglinton at Desperate Curiosity has an amazing long post on the history of a Japanese dance company, Taihen, where the core company members are mostly people with CP or polio, and its links to the anti-eugenic Blue Grass Group in the 1960s. Great images, too. In the department of terminology and just plain bad vocabulary choices: Kristina at Autism Vox is startled to find a writer who refers to his son, even casually, as a "dud"; Mary Johnson, Damon Rose, and Agent Fang caught the Tiger Woods' "spaz" comment (getting way more coverage in the UK than in the US--be sure to also read Rose's tale of how his column on the Woods story quadrupled hits on the Ouch! site this week, and brought a flood of emails). Eeka duked it out with an obnoxious real-estate agent whose describes a Boston neighborhood as full of "crazy people", a term he later clarified to mean "nutjobs." Nice. Diary of a Goldfish tries to help, with a Brief Guide to the Language of Disability (in which some US/UK differences are acknowledged). And Scott Rains rounds up recent articles on universal design--which, he notes, many confuse with accessible design, or visitability. Going somewhat beyond vocabulary, three ill-conceived fundraising letters have Kristina "I'm not devastated" Chew and Steve "Overachiever?" Drake feeling misunderstood and misrepresented by the very folks who are supposed to be understanding and advocating; Shawn questions the definite article and period in the ASA slogan, "The Voice of Autism." --it seem to claim there's only one voice for such a complex community. Beyond vocabulary entirely: filmmaker Morgan Spurlock's insulting comments at a school assembly, and his unconvincing apology, caught the eye of Liz Spikol (and Mary Johnson too). Angry Gimp is seriously angry again--this time about some deeper-than-the-bone cuts in Florida's Medicaid programs. But Darrell and Karen at Blind Access Journal are celebrating: Google's about to roll out audio CAPTCHA as an alternative to the word-verification system that's inaccessible to many blind users. (Kestrell warns, however, that just because there's a button that says "visually impaired click here" doesn't mean anything's going to happen if you try it.) Katja is less-than-impressed by the parking access at a fundraising event, where she was assured by email that "If yourself or any of your guests have trouble walking up the hill you can drive up the driveway right next to the parking lot and drop people off at the door." Great, she says, except... yes, it's true... some people who can't walk uphill actually drive themselves to fundraising events. Did you travel for spring break? Agent Fang has a suggestion for hotel brochure makers: Show Us the Toilet. Darren Hillock reminds you cruise planners to keep your disabilities "reasonable," as suggested by a newspaper columnist. Urville isn't a real place you can travel to, but it's been rendered in extraordinary detail by its creator, Giles Trehin, notes Autism Diva. More: I'm not the only one who enjoyed the BBC Ouch Disability Podcast: Katie has a belated valentine to Damon Rose posted at Personal Eye View. Teacher-blogger Squaregirl had a killer post in March about Presuming Ability. Gallaudet has three finalists for its next president, you can read more about them at DeafDC. Mary Johnson is on the lookout for an enlightened sports-section story about horse trainer Dan Hendricks--points deducted for each cliche. Finally, mark your calendars: Blogging Against Disablism Day has been declared for May 1, notes Damon (link above), Stella, Attila the Mom, Marmiteboy, Lady Bracknell, Rebecca, and the idea's originator, the Goldfish. 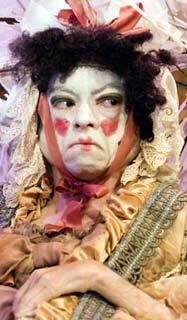 You've got two weeks, so join in and make it good; remember, as Lady Bracknell points out, "one does not have to be disabled oneself in order to be opposed to discrimination against disabled people." The next Disability Blogs Roundup here should be mid-May, sometime after Mother's Day (in the US). I've got an essay called "Share and Share Alike" up today, over at Ragged Edge. It was written in response to the New York Times article last week, titled "Siblings of Disabled Have their Own Troubles" --see the commentary on this story at Edge-Centric, too. I don't often write about my own kids on blogs, DS,TU readers may have noticed; but this subject really required the personal approach. Dixie Henrikson, 84, who co-founded the nonprofit agency Activities for Retarded Children, died of lung cancer Tuesday at her home in Valley Village, said her son, Michael. In 1969, Henrikson became frustrated about the lack of activities available for her developmentally disabled daughter, and with another mother formed an organization to address the problem. Henrikson became executive director and Mary Schallert the associate director of the center, which the women formally incorporated in 1975. Together they organized field trips, athletic competitions and dances for children and adults in North Hollywood, and provided a place where the members could socialize. "A lot of people think Easter and Christmas parties are enough for these kids, and that two functions a year is plenty. But these kids have the same needs as any teenagers, and other teenagers don't say, 'Oh, I've been out this month, so I think I'll stay home now,'" Henrikson told The Times in 1986. Henrikson also conducted the group's English Hand Bell Choir, which performed at United Way functions and holiday celebrations in Los Angeles over the years, including Christmas Eve at the Dorothy Chandler Pavilion. The generation of parents who had developmentally disabled children after WWII, but before the IDEA, included mothers and fathers who worked hard to create programs and opportunities for their kids. Some of those parents were founders of the ARC and other national organizations; some, like Henrikson, got together with another mother and made something local like their North Hollywood project (complete with bell choir). Someone should be catching these folks for oral histories before they're gone--their work was important, and their stories deserve recording. Barbara Bair, "The Parents' Council and Social Change in Rhode Island, 1951-1970," Rhode Island History 40(November 1981): 144-159. Katherine Castles, "'Nice, Average Americans': Postwar Parents' Groups and the Defense of the Normal Family," in Steven Noll and James W. Trent Jr., eds., Mental Retardation in America: A Historical Reader (NYU Press 2004). Kathleen W. Jones, "Education for Children with Mental Retardation: Parent Activism, Public Policy, and Family Ideology in the 1950s," in Steven Noll and James W. Trent Jr., eds., Mental Retardation in America: A Historical Reader (NYU Press 2004). Really Old, Disabled, and.... Tough? I'm just a tough old woman. They can't be rude to me. I have all this white hair. I take advantage of every thing I can — age, hair, disability — because my cause is just. *Leonora Carrington's surreal novel The Hearing Trumpet (1974) begins with Marian, a 92-year-old living with her son and his family. She wonders if she'll have a chance to go back to London and visit her 110-year-old mother, who is described as "very spry in her wheelchair." Marian's friend Carmella gives her the hearing trumpet of the title, which is "exceptionally pretty, being encrusted with silver and mother o' pearl motifs and grandly curved like a buffalo's horn." In the course of my walks I've been compiling a map in my head of all the easily accessible washrooms in Port Ticonderoga--so useful if you're caught short--and the one in the doughnut shop is my current favourite. 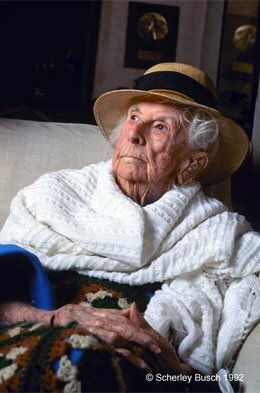 I like finding examples, biographical or fictional, of very old women with disabilities who don't fit the stereotypes--they're not miserable, they're not idle, they're not cute or sweet--they're thinking, they're active, they're... tough, like Marjory Stoneman Douglas. Thanks to Tobin Siebers for distributing the following information regarding a Disability Studies event being held today at the University of Michigan. Brenda Brueggemann is Associate Professor of English and Director of the First-Year Writing Program at Ohio State University. She was the prime force in the creation of a Disability Studies Minor at OSU. Her work focuses on writing, literacy, and Deaf culture. Randy Graise owns RanDel Enterprises and is a motivational speaker focusing on disability issues. John D. Kemp, a renowned disability rights activist, served in the Clinton administration and is winner of the 2006 Henry B. Betts Award. Riva Lehrer teached painting and drawing at the School of Art Institute of Chicago. Her "Circle Stories" present portraits of disabled people including accomplished playwrights, actors, artists, and writers. "If a sign were put on the front door requiring all women and francophones to use the back door, how would the media respond? Would they see the issue as less important than health care?" Today is the birthday of Lise Trudel Thibault, lieutenant governor of Quebec. Thibault fractured her spine in a tobogganing accident in 1953, and has used a wheelchair since further injuries sustained during pregnancy and childbirth in the early 1960s (she has two daughters). She was a teacher, and then a broadcaster, before her 1977 appointment to a commission of the Quebec Ministry of Education. From 1993-1995, she was the President of the Office des personnes handicappées du Québec. 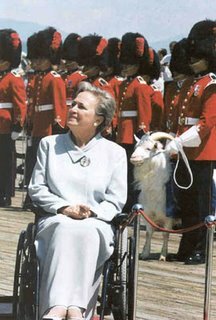 And in January 1997, she was sworn in as the province's lieutenant governor, the first woman and the first wheelchair user to hold that position. The lieutenant governor's office and the building it was in were both inaccessible when she took the job, and some in the Quebec media questioned the expense of making the basic accommodations necessary (replacing deep-pile carpeting with wood floors; replacing a heavy historical door with a lighter door and automatic opener, and a steep maintenance ramp at a back door with a safely useable ramp at a front entrance). But they were made nonetheless, and Thibault serves today as Quebec's ceremonial head of state. In addition to her civil service, Thibault is an avid skier (she was named Skier of the Year in 2003 by the Canadian Association for Disabled Skiing) and golfer. She has hosted radio programs on the CBC, and written books on French tapestries. *An excerpt from Beatrice K. Otto's Fools Are Everywhere: The Court Jester around the World (U of Chicago Press 2001). *Dana Heller, "Holy Fools, Secular Saints, and Illiterate Saviors in American Literature and Popular Culture," Comparative Cultural Studies and Popular Culture 5(3)(September 2003): online here. *"The Folly of the Freedom of Fools," a March 1918 article from The Survey, archived at the Disability History Museum. *C. F. Goodey, "'Foolishness' in Early Modern Medicine and the Concept of Intellectual Disability," Medical History 48(3)(2004): 289-310. *Anna Lavis, "'La Muse Malade,' 'The Fool's Perceptions,' and 'Il Furore dell' Arte': An examination of the Socio-cultural Construction of Genius Through Madness," Anthropology and Medicine 12(2)(August 2005): 151-164.